BMC 120 lts two wheeled with foot pedal and with out.Available in THREE colors are green, red , yellow. Our all products are made of HDPE plastic. 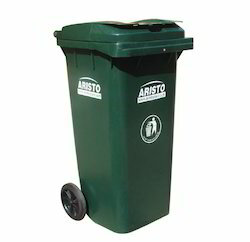 Size: capacities like 660,770,1000,1100 litres etc. 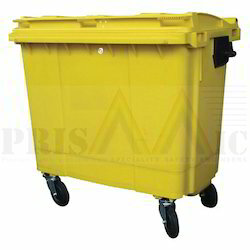 M.s garbage trolley with caster wheel.heavy duty and bmc approved bin.